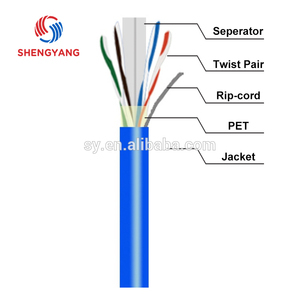 Meanwhile, we can design and manufacture the cables according to the samples and technical specification the customer supply. Q4:Can we have our logo or company name to be printed on your products or the package9 A4:Yes,you can. We have the trading company and production factory both possessing of the convenient transportation and ripe producing experiences. 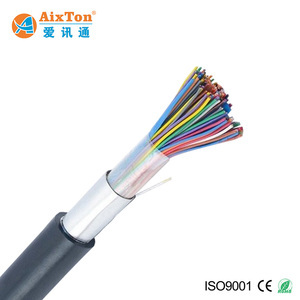 2)we export the coaxial cable for more than 10 yrs . 3) We provide free technical training and solutions. If you have any question please feel free to contact us , we will be on hand to answer your questions. 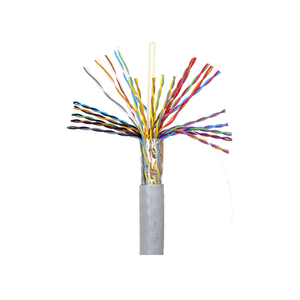 Safelectron (Shenzhen) Electronics Co., Ltd.
Dia 6.0 &plusmn; 0.1mm Outdoor UTP Cat6 Conductor Material Full Copper / CCA Nom. 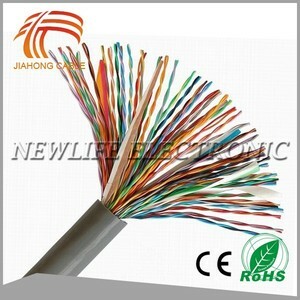 Dia 6.0&plusmn;0.1mm Outdoor FTP Cat6 Conductor Material Full Copper / CCA Nom. Protection of your sales area, ideas of design and all your private information. Q2: What is delivery time if we place an order9 A2: It depends order quantities. Usually, we can deliver goods within 3 -5 working days for small orders, for more QTY. 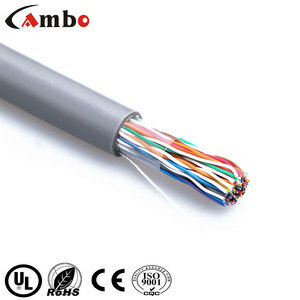 Q3: Do you accept OEM/ODM9 A3: We support OEM/ODM service: Pls don&rsquo;t hesitate to tell us your ideas. 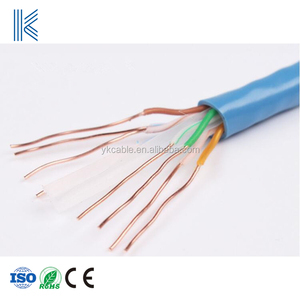 Shenzhen Perfect Wire&Cable Co., Ltd.
Shanghai Wanpu Cable Co., Ltd.
Hangzhou Wenran Technology Co., Ltd.
Hangzhou Aston Cable Co., Ltd.
Shenzhen KW-Link Electronic Co., Ltd.
Shenzhen Newconn Technology Co., Ltd.
Guangzhou Chen Tai Electronic Industrial Co., Ltd.
Shenzhen Kimone Electrics Co., Ltd.
10, 25 pair cat 6 utp cable APPLICATION A 4 pair high performance cable that consists of twisted pair conductors, used mainly for data transmission. 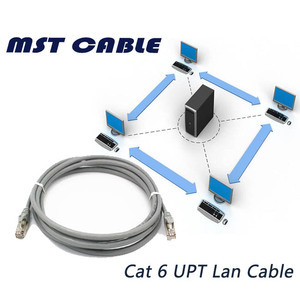 Category 6 is recommended for all new installations, supports a frequency range of up to 250MHz and is designed for transmission speeds of up to 1 gigabit per second (Gigabit Ethernet). For installations where fire, smoke emissions and toxic fumes create a potential risk to life and equipment. 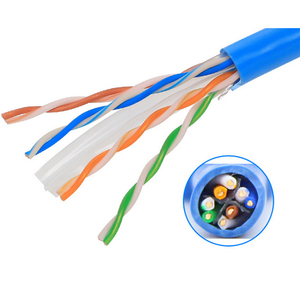 Shenzhen HSD Cable Co., Ltd.
25 Pair Cat 6 Cable has been the major product in the Communication Cables market over the past year, and it was very popular in United States,Canada,Philippines,Korea and Australia; As shown in the distribution chart, market shares of these countries are folowing: [ US:56.75%, CA:7.28%, PH:7.23%, KR:4.29%, AU:2.65%, other:21.80%]. 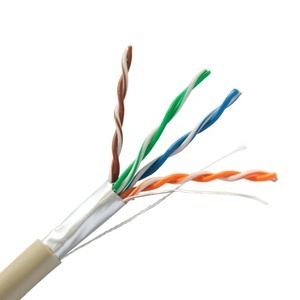 What's the trends of 25 Pair Cat 6 Cable product's market in 2018 (Dec 2016 to Jan 2019)?we have studied one years data on online sales, global shipping, search, sourcing and requirements of following products Coaxial Cable.